RESTON, Va., October 17, 2016 – Wyoming landscape architect Allison Fleury has been elected to a two-year term (2016–2018) as Secretary of the Board of Directors for the Council of Landscape Architectural Registration Boards (CLARB). 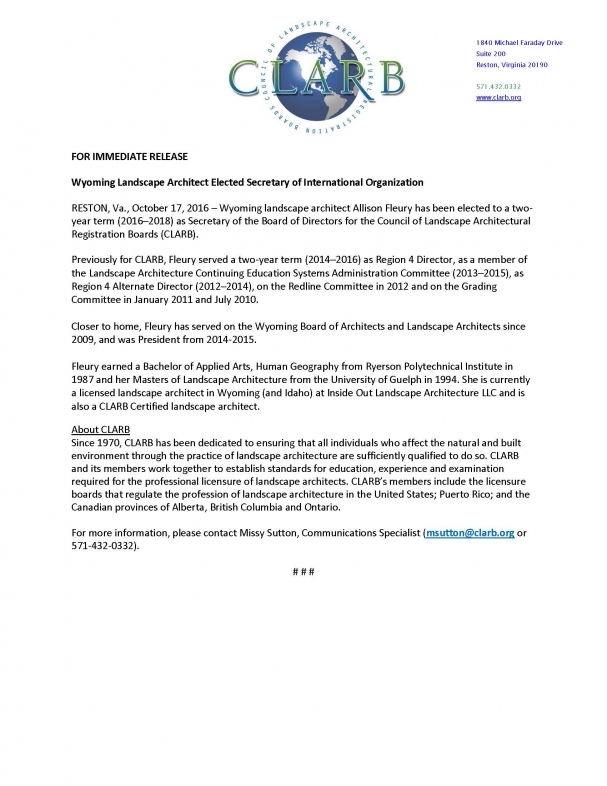 Previously for CLARB, Fleury served a two-year term (2014–2016) as Region 4 Director, as a member of the Landscape Architecture Continuing Education Systems Administration Committee (2013–2015), as Region 4 Alternate Director (2012–2014), on the Redline Committee in 2012 and on the Grading Committee in January 2011 and July 2010. 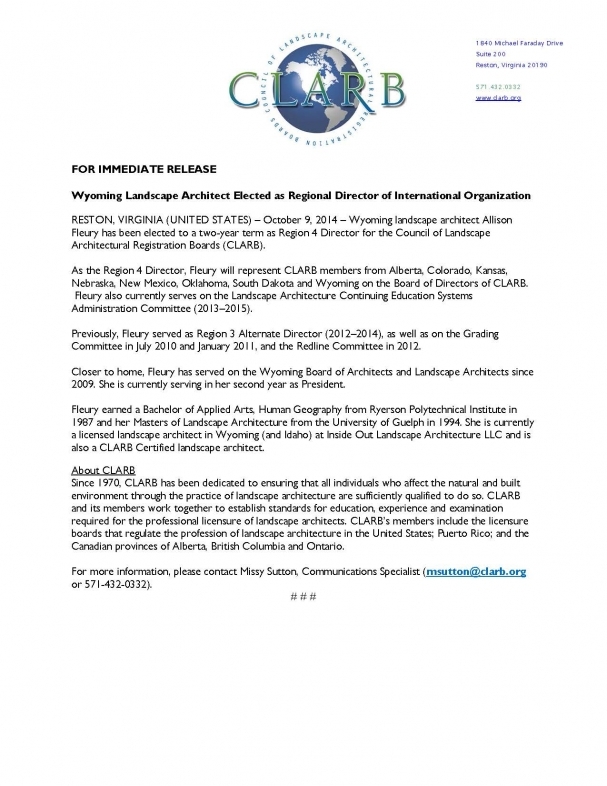 RESTON, VIRGINIA (UNITED STATES) - October 9, 2014 - Wyoming landscape architect Allison Fleury has been elected to a two-year term as Region 4 Director for the Council of Landscape Architectural Registration Boards (CLARB). As the Region 4 Director, Fleury will represent CLARB members from Alberta, Colorado, Kansas, Nebraska, New Mexico, Oklahoma, South Dakota and Wyoming on the Board of Directors of CLARB. Fleury also currently serves on the Landscape Architecture Continuing Education Systems Administrative Committee (2013-15). 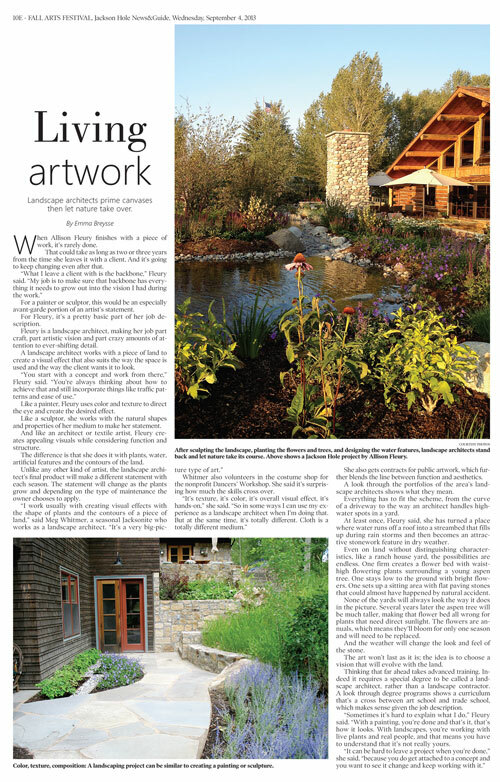 If Allison Fleury had it her way, each of her projects would overflow with perennials and showcase the beautiful plants of the region. But at least there is always her yard to explore the endless combinations of each season. As part of her one-woman landscape architecture business, Allison brings a seasoned career and one-on-one attentiveness to each project, creating artistic, sustainable, and livable outdoor spaces. As the business name implies, Allison loves to make a space cohesive, from the interior of the building to the design of the landscape. When Allison Fleury finishes with a piece of work, it's rarely done. That could take as long as two or three years from the time she leaves it with a client. And it's going to keep changing even after that. 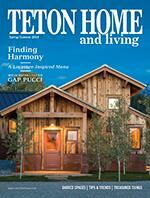 "What I leave a client with is the backbone," Fleury said. "My job is to make sure that backbone has everything it needs to grow out into the vision I had during the work." For a painter or sculptor, this would be an especially avant-garde portion of an artist's statement.